Add the base ingredients together and process them for a few minutes, the mixture will start clumping together. Form a square shape with the base ingredients. Mix the caramel ingredients together and smother over the base. Freeze for 5 minutes. 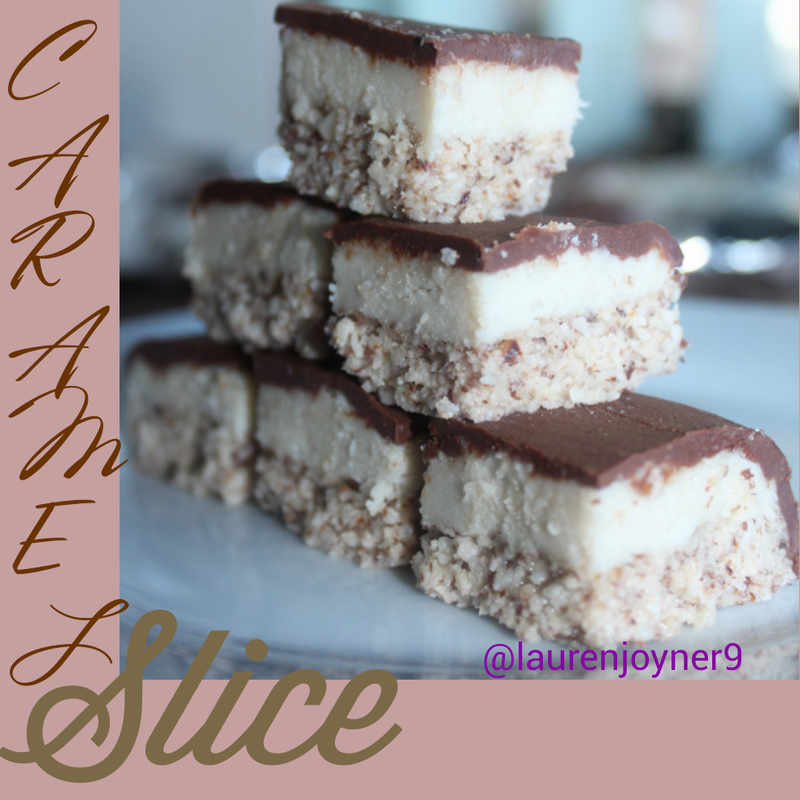 Mix the chocolate ingredients together and cover the caramel layer.